Sellafield Spent Fuel Pool. Cerenkov blue. Above ground storage of old spent fuel. 2. US Drystore for Spent Fuel. DU stored as solid Uranium Hexafluoride. La Hague Reprocessing plant. Areva advises the world. (6)THORP reprocessing. To be rebuilt by Areva? Few people outside the nuclear industry understand what nuclear waste really is. The common perceptions revolve around pictures like our background here of spent fuel cooling off in a large pool. The characteristic Cerenkov blue colour is emitted by fast electrons slowing down in the water. The colours are used for the Nuclear Avenue. The projects to bury spent reactor fuel in Geological Disposal sites, like Yucca Mountain or someplace in Cumbria, are entirely driven by politics, not science. This misapprehension allows disposal companies to charge arbitrary prices for their services, so the prospect of immense profits is another incentive. Decommissioned nuclear plants produce a lot of mildly radioactive structural materials which take decades to cool off and up to a couple of centuries to become re-usable again. The correct treatment would be to store this Intermediate Level Waste in Repositories, not dumps for final disposal, but valuable materials. 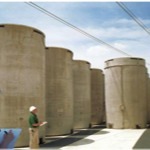 We do like to distinguish between cost, price, and value or worth for any product including nuclear wastes. Low cost items or services may be of high value and command a high price and a good profit. Low cost items of little value may get a high price with skilful marketing. In the long term, the value to society outweighs other considerations. There is no point in rushing into a poor solution for nuclear 'waste' when excellent ones can be developed faster than disposal sites can be built. Spent fuel should be recycled because it has only 3.5-5% of fission products, depending on the enrichment, and 96.5-95% of reactor fuels. The Fission products cool down rapidly and can be moved out of cooling ponds at the reactor site into dry storage elsewhere till they can be recycled. 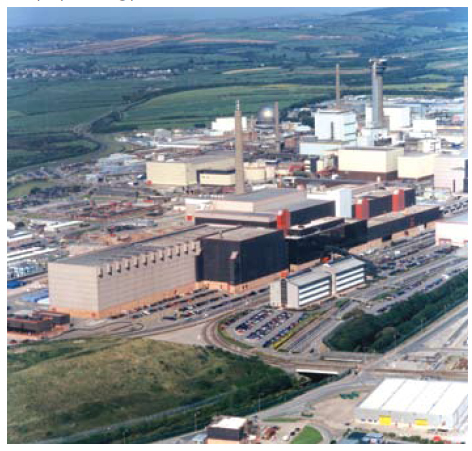 The 20t of nuclear fuel spent annually in a 1000MWe PWR reactor is enormously valuable, mainly because each tonne is 95% reactor fuel with a value of £1.3Bn at 15p/kWh. This can be returned to power reactors or breeder reactors. The remaining 5% consists of fission product fragments which, in 50 years cool off to mainly precious metals, rare earths, and other stable elements worth about £200M when separated out. 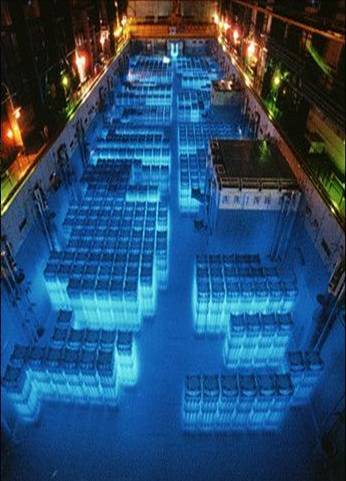 A fraction remains radioactive and needs to be stored, or used as a heat source, for no more than 500 years. Science is about numbers and details. 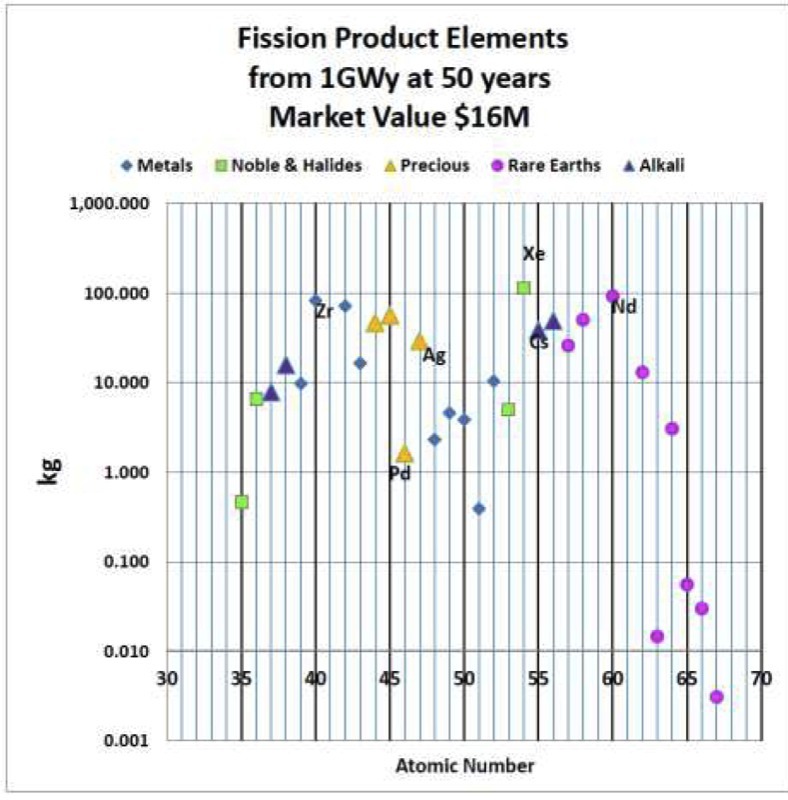 The Fission Product chart (3) gives the contents found in 50 year old spent fuel (E. Sayre), scaled back 50 years to represent fresh spent fuel. The amounts range from 1 to 100kg of each. 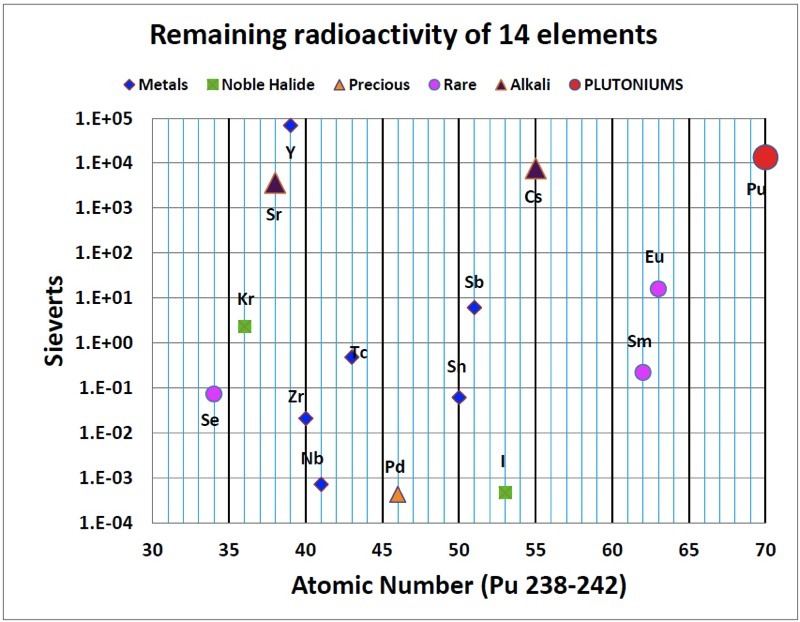 There are some 33 elements in the middle of the periodic table, mostly with several isotopes. The top three are Xenon gas, Zirconium metal, and the rare earth Neodymium. Note the log scale for the elements. The chart hints at the wide range of chemistry needed for their efficient separation. All food products mast have a list of contents on the tin and a safety statement saying, 'Best Before…'. Spent Fuel should be the same if we are to understand what we are paying for, with a statement saying 'Do Not Use Before …'. You have been led to believe it is somewhere around 1 million AD. Actually, the long lived stuff is fuel, the short lived stuff is good in 50 years, and there are a couple of repeat offenders who need 300 years before being released. The radioactivity of these Fission isotopes (4) has a very wide range of a factor of a billion. The units of activity are in Sieverts, equivalent to watts of heat a person might absorb if the waste were eaten. The numbers can be presented in the huge and scary units of Becquerels, which is the number of atoms disintegrating per second but not their strength or penetration. Journalists like Becquerels. There are several other isotopes omitted whose decay times approach the age of the universe and so are not a hazard anywhere. For the sake of comparison the radiation from all the Plutonium isotopes in the spent fuel is shown at the edge of the chart. The few grams of Yttrium-90 decay hotly into Zirconium-90 with a half life of 2.7 days. They would effectively vanish during processing.It is clear that only the top two elements, Strontium, and Caesium need be stored or used for nuclear batteries. Recycling need not wait 50 years and, in liquid fuelled reactors, can be done online. Steady removal of Sr and Cs would reduce the heat load which increases steadily in solid fuelled reactors. The ambient radioactivity for recycling of liquid fuels is far lower than that for spent fuel rods. With sensible safety measures, the isotopes with tiny radiation ,at or below that from Technetium, can well be used in industrial applications. Almost all the radiation is in the form of beta particles – fast electrons – which can be shielded by a sheet of paper. Even the most active actinide fuels, like Americium 241, can be used in minute quantities in devices such as a domestic smoke alarm. Industry has found clever uses for almost every element. Your mobile phone is packed with elements never really used before 1990. The touch screens use radioactive Indium in their design. Indium-115 has a half life of 30,000 times the age of the universe, so your touch screens are totally safe. Other fission isotopes, like an excited Tc-99m or a paramagnetic Gadolinium, have medical uses due to their high and therefore brief activity. Your life may depend on these. Fuel enrichment produces 8-10 tonnes of natural Uranium depleted to about 0.2% of U-235. Its radioactivity is so low that it can be handled by nuclear workers. Some anti-nuclear agencies have declared this to be waste to be used as wing weights or for armour piercing shells. All reactors are able to safely convert this DU to Plutonium reactor fuel. Depleted Uranium is now the largest fuel store on the planet. The UK owns - or did own - enough DU to power an all electric Britain for 500 years. Bury it they say. This is done well by the French who are advisors or partners in new recycling plants in the USA, Japan, Britain and elsewhere. The UK has done less well with its THORP reprocessing plant. All MAGNOX fuel has been reprocessed to extract high quality reactor grade Plutonium, but has failed to maintain an international market for its services. This is not a sensible reason for giving up on reprocessing which will be needed in the UK if a possible 75GW of reactors is established by 2050. The EU will eventually need about 10 reprocessing plants for a similar nuclear future. More advanced reactors, with molten salt fuels, will be able to consume all the fuels from existing spent fuel by the end of the century. These will be the world’s safest reactors which will never melt down or go on fire, will not release radioactive materials into the environment and will breed their own fuels. Spent fuel is not a million year problem. Fast reactors are able to use or transmute any of the troublesome isotopes, but they are only one a several technologies able to do this. This is a coming contest in the industry. Recycling is necessary as a matter of responsibility to future generations and as a matter of energy economics today. Nuclear energy from fission and fusion will run the planet for hundreds of millennia. Liquid fuelled reactors will be demonstrated over the next 20 years. An extended version of our position is published with with the Nuclear Energy Insider. 21st century Management of Spent Fuel.